Although the organic reach of Facebook Pages is gradually decreasing, with their 2 billion monthly active users (and 1.3 billion daily active users) it’s a channel you can’t ignore. To translate Facebook likes into ROI, you need a solid strategy and consistency. But before you start working on that strategy and start investing in ads, there’s some groundwork to be done. You need to optimize your Facebook page to translate those efforts into actual clicks and conversions. You need to set up your page to help your new followers quickly understand what your business is about and how it can help them. 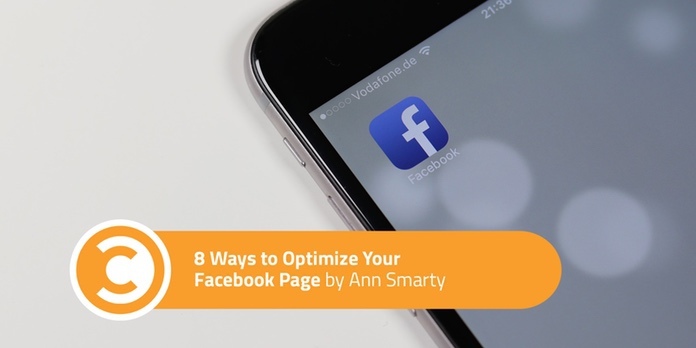 Here are eight steps to walk you through the Facebook page optimization process. Always complete your “Description” field, making sure you use all the allowed 250 characters for original content. Original content helps your page rank higher. Add your website. You want Facebook users to get to your site easily. Also add your business contact details, your other social profiles, a brief list of your products or services, your professional awards, and your business story. Facebook offers pre-made page templates to help you optimize your page for the types of the business you are running: services, shopping (this one has the built-in Shopping tab which allows you to feature products on Facebook), business, venues, etc. The template simply dictates the layout of buttons and tabs that have been found most efficient for specific business types. You can edit and customize them as much as you like after you pick one. For GrowRevenue it’s “Sign Up,” because it’s a newsletter. You can also choose “Book now,” “Start order,” “Call now,” “Email now,” depending on your business. For each CTA, you’ll need to add the most appropriate landing page where the user will perform the suggested action. Standard tabs are Home, Posts, Videos, Groups, etc. However, you can also add more tabs that better match whatever your business is about. For example: Offers, Shop, Services. Set up a Shopping section and add your products, one by one, by specifying their names and prices and uploading their photos. You will be able to tag your products in your page photos and videos. This way, if your video goes viral on Facebook, people will be able to click through to the product listing right from within the video. Nearly all potential customers consult online ratings and reviews before making a purchase. Facebook reviews tend to be more positive than those on other platforms. This may be because Facebook is a very personal platform—people don’t go there first to vent their frustration at companies. If things go wrong (and that may happen to the best of us), you’ll be able to switch those reviews back off going forward. • Ask questions to engage your followers in discussions. • Post curated content (with the help of tools like DrumUp which saves tons of time). • Upload short, well-annotated videos. • Stream live videos from (virtual) events. • Tag other business pages you (industry tools and non-profits). • Upload images (Collages, quotes, team photos, etc.). You can get great insight into how your competitors are growing their Facebook presence by using Serpstat or BuzzSumo. For example, you will be able to see which updates got the most likes, comments, and shares. 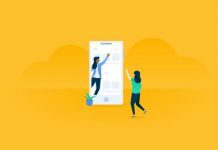 This analysis will give you a ton more ideas on how you need to optimize your Facebook page to build followers and engagement. This is it. A great primer to get you on the right track. PPS. Why don’t you go like GrowRevenue on Facebook, as a reward for making it all the way down here? Thanks!